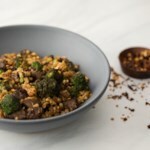 In this healthy vegetarian fried rice recipe, seitan, broccoli and mushrooms are tossed with creamy coconut milk and reduced-sodium soy sauce for a delicious one-bowl dinner. If you don't have leftover cooked rice on hand, be sure to thoroughly cool your rice before adding it to the wok—if it's too warm, it creates too much steam and sticks to the wok. 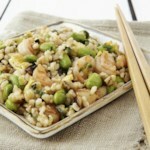 To quickly cool warm rice, spread out on a large baking sheet and refrigerate while you prep the rest of your ingredients, about 15 minutes. Add 1 tablespoon oil to the wok along with scallions, ginger and garlic; cook, stirring, until scallions have softened, about 30 seconds. Add seitan and cook, stirring, for 1 minute. Add broccoli and mushrooms; cook, stirring, until just tender, 2 to 4 minutes. Transfer the contents of the wok to a large plate. 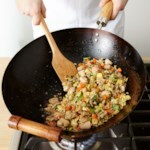 Return the seitan, vegetables and eggs to the wok; add coconut milk and soy sauce and stir until well combined. 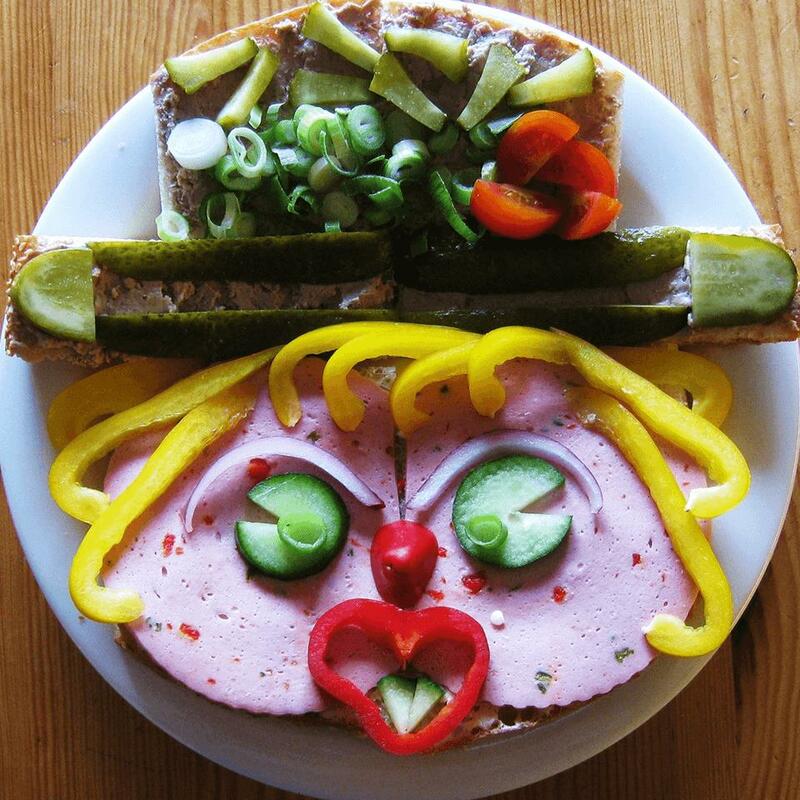 Seitan is processed wheat gluten that is high in protein and has a meaty texture. 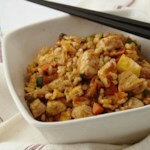 It can be found in health-food stores or large supermarkets near the tofu. 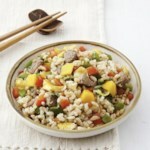 For our stir-fry recipe, look for unseasoned seitan “strips” or “cubes” rather than flavored seitan. 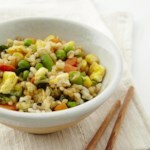 Healthy version of fried rice. 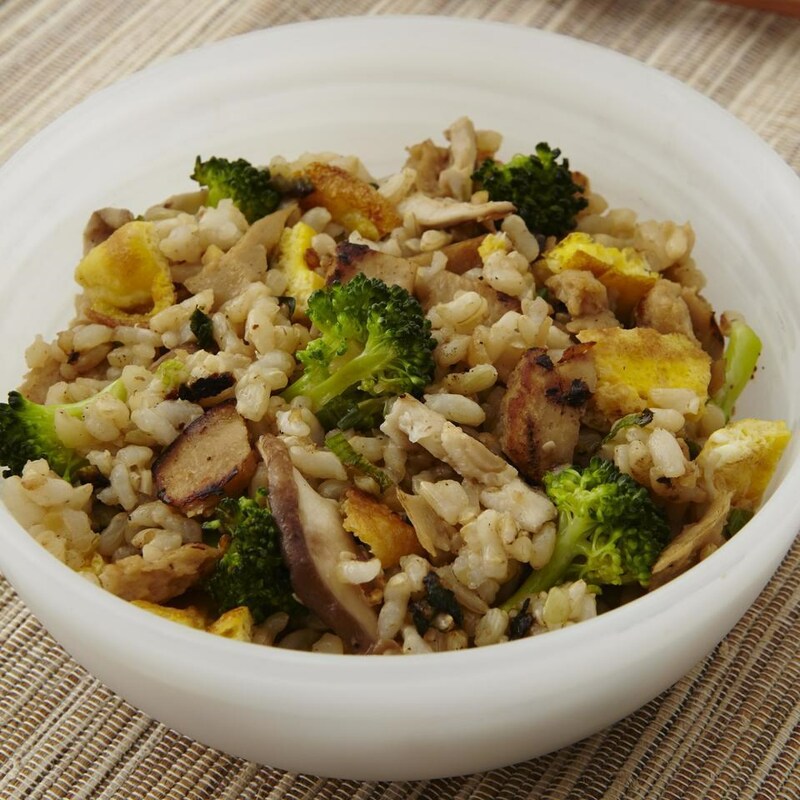 Good if you need to use up leftover mushrooms, broccoli and rice.